A single CPU reached its limit of computational throughput over a decade ago, and as a response the technology industry was forced to shift to parallel processing. Today processors are increasingly parallel, with increasing core counts, wider SIMD lanes, and more hardware threads. Systems are also heterogeneous, so that a single workstation, server, or smartphone will contain extra processors such as GPUs and FPGAs alongside the primary CPU. Despite the widespread availability of parallel and heterogeneous systems, they are seldom used in analytical workloads, and when they are, their use can be highly inefficient. The vast majority of software developers are not aware of modern trends in parallel programming and heterogeneous computing, and there is a dire lack of talent to create next-generation analytical frameworks. Join AJ Guillon as he discusses the contrast big data frameworks and the OpenCL standard, and motivate convergence in the data center. Benchmarks will be demonstrated. 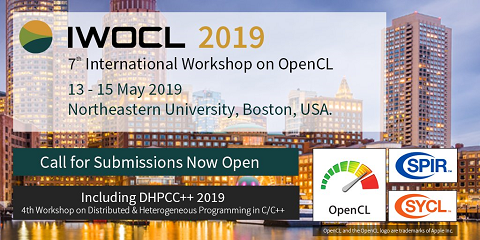 AJ Guillon is an invited expert to the OpenCL working group, and a Khronos member, since 2014. He has worked extensively with OpenCL since its initial release in 2008, and contributed to OpenCL C++, OpenCL 2.1 and 2.2.